Sachin Tendulkar's documentary drama Sachin: A Billion Dreams had a wonderful opening weekend, says trade analyst Taran Adarsh. The film which collected Rs 8 crore on opening day made above Rs 27 crore over the weekend, which Taran Adarsh says is "excellent for a docu-drama." Sachin: A Billion Dreams received fabulous reviews released in several languages. The collective score of all languages is Rs 28.05 crore. Sachin: A Billion Dreams hit the screens with Johnny Depp's Pirates Of The Caribbean: Dead Men Tell No Tales but movie-goers had eyes only for Sachin. Taran Adarsh gave the complete box office report of Sachin: A Billion Dreams so far. #SachinABillionDreams Fri 8.40 cr, Sat 9.20 cr, Sun 10.25 cr. Total: 27.85 cr [all languages]. India biz. EXCELLENT for a docu-drama. 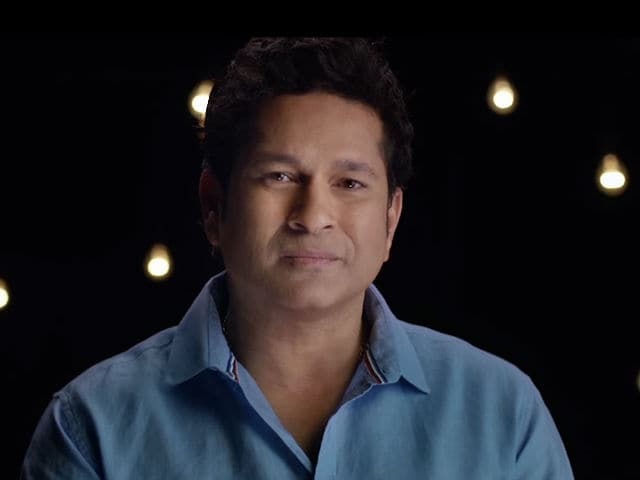 Of Sachin: A Billion Dreams, Raja Sen in his review for NDTV said: "This is a documentary not merely about the man with that name, but one narrated by him, one where he tells his own story in his own words. It is not journalistic or incisive or probing. It feels, instead, intimate - as intimate as it can feel, anyway, for a film where an audience claps and cheers alongside those who clapped and cheered live, years ago. Which is to say: it is us today applauding in time with us yesterday." He gave the docu-drama 4 stars (out of 5). Sachin: A Billion Dreams is directed by James Erskine and features Sachin Tendulkar and his family - wife Anjali and children, Sara and Arjun. His colleagues MS Dhoni and Virendra Sehwag also made an appearance along with actor Mayuresh Pem.